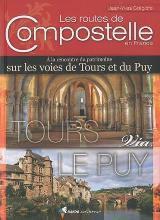 France, country of contrasts, home to the inventors of the Topoguide, is a great walking destination all year round. An intricate network of long distance footpaths, the so-called Grands Randonnées, reaches out to the farthest corners of the country. At least 80 long distance trails and their countless variants are meticulously documented and waymarked. 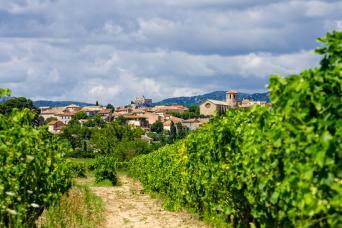 Mastering a bit of French will help you find your way, and a bottle of wine at that. It may be difficult to find information or topo guides for many trails. 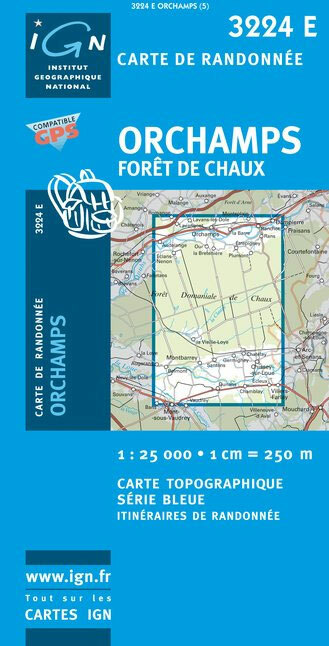 The exact route - not only the name "GR" - of any hiking trail in France is copyrighted by the FFRP and cannot be published by others without their consent. The maps of IGN usually show all regional PR's and national GR's. 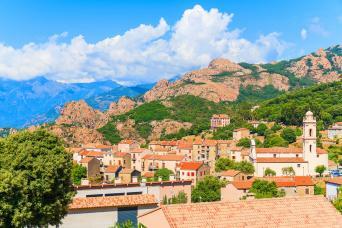 The French themselves are mad about walking, often in groups of about 20, recognisable by their non-stop rather loud conversations lasting from dawn till dusk and snacking on hard boiled eggs en route. So join the crowd and turn bon vivant. 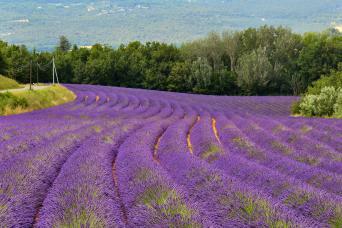 Walk the Provence in spring, pass through the wine regions coloured all red in late autumn. Enjoy the Atlantic coast and its birds in May, and the shimmering sun on the glaciers in summer. 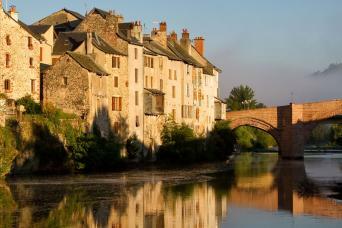 Explore the Loire in autumn, and the dark forests of the Morvan in winter. 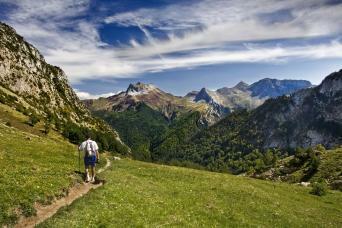 Or take a walk all the way from the Atlantic to the Mediterranean right across the Pyrenees along the GR10. 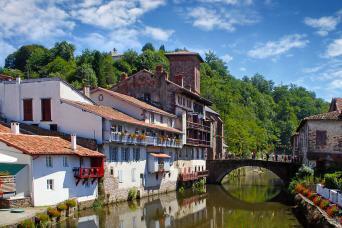 Another popular trail is the GR5, from Luxembourg to Nice through the Vosges, the Elzas and the Alps. For those fearless and bursting with energy, the GR20 is a fine challenge. This trail following the highest ridges of the island of Corsica is for the surefooted only. 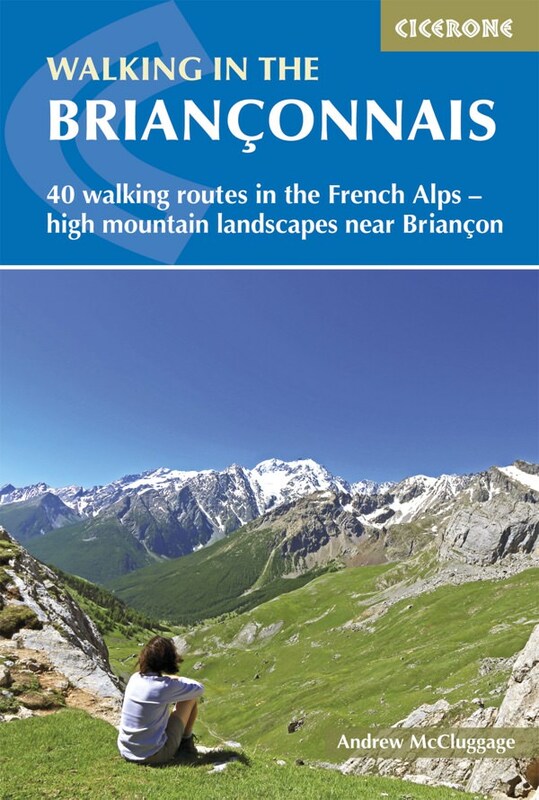 Another popular walk of course is the TMB, the Tour du Mont Blanc: eight days with views on the highest mountain of Europe, weather permitting. Drawback: crazy busy. Less known, but just as fine, is the Tour du Queyras (GR58), also in the Alps. 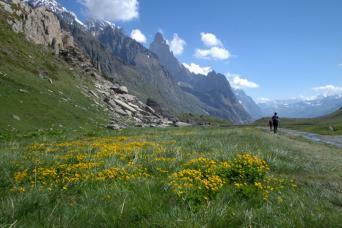 Other best hikes in the Alps are the Tour de la Vanoise (GR55) or the Tour de l'Oisans (GR54). You can walk the Vallée des Merveilles (GR52). And a bit on the outside of the Alps is the Vercors (GR91 - GR95) and Mt Lubéron (GR97). There you are, now you know what the French themselves like most. 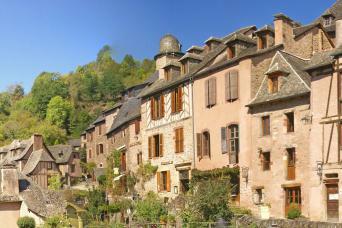 Along most GR's you will find huts or Gites d'Etappe at regular intervals. These are mostly just simple shelters, so bring food to prepare your own meals. 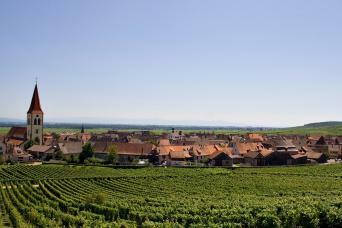 Outside the main summer season, with most French back in Paris, the Gites are often closed. In such cases, bring your own tent. Most GR's can be tough but not dangerous, except the GR20. Positiv I just love it. 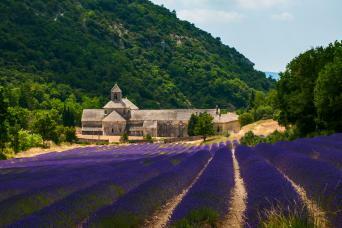 France is where I want to walk, to live and to eat everything you can find in a patisserie. My favorite part of it is the Bretagne. Negativ Could not find anything I dislike yet. 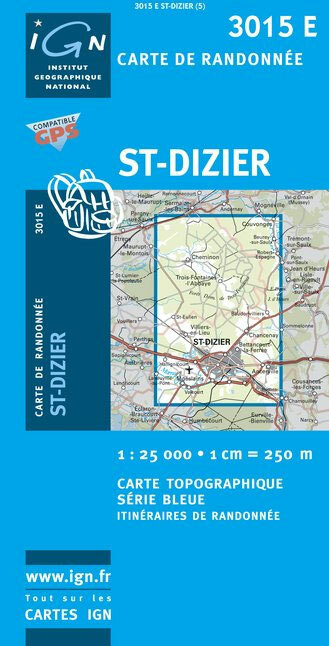 This website is a meeting place for hikers in France. Everybody can upload comments and pictures. Most hikes are short escapes. Possibility to choose by region. 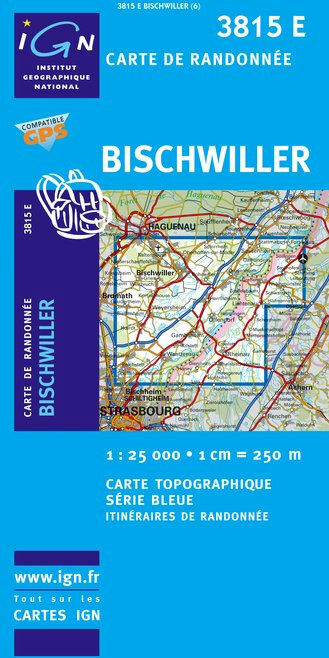 Some trails in Auvergne and elsewhere are described here. This is a huge collection of hikers' contributions. You will probably find someone who did a particular trail before you and left his trail marking here. Huge collection of reports, mainly France itself. 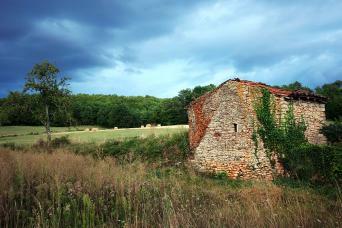 Thirty years of hiking across France ...: it all started in 1975, hitch-hiking from Lyon over Béziers to Roquefort... 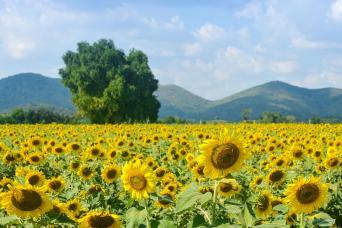 This website is a account of these travels, "and I hope to take you along with me". 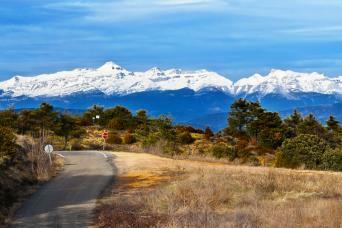 David's hikes tend to be very long: the Pyrenees from west to east, the Alps from north to south. 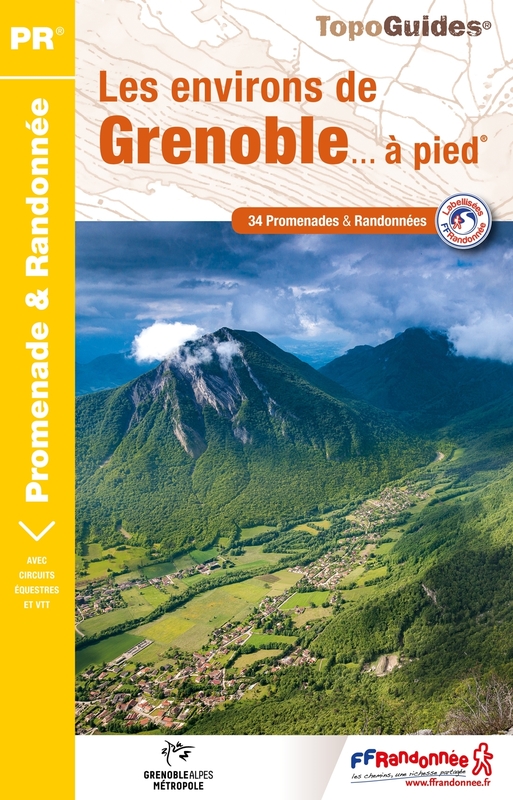 Web shop of the FFRandonnee where you can order all the excellent French guide books (topos-guides), essential for hiking in France. Huts database on the Club Alpin Francais website. 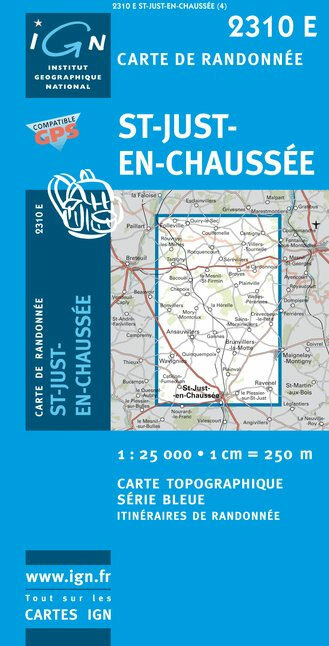 Website by Annick and Serge Mouraret giving info on some 3900 huts in all parts of France, and just across the border in Belgium, Germany, Luxembourg, Italy, Switzerland and Spain. Even the French overseas areas of Guadeloupe, Martinique and Reunion are included. Although basically in French, some important portions of the text are also in English. Website of the French Alpine Club. Trail Association for the Ile de France Region. 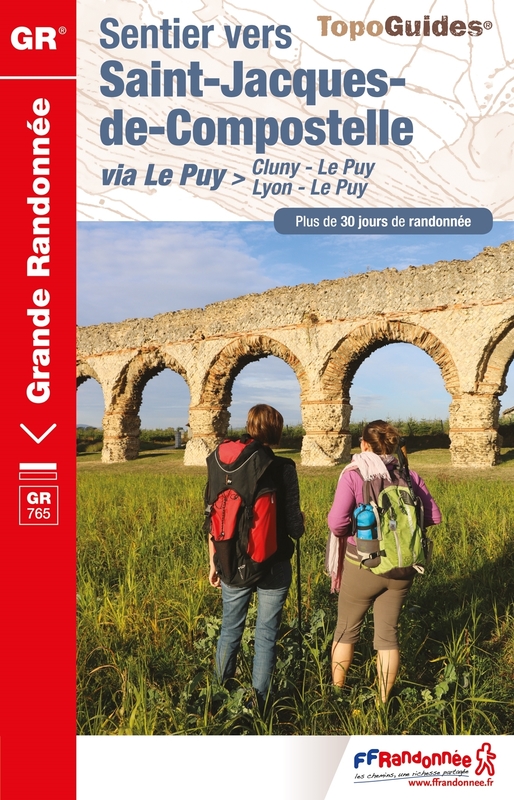 Rando 21 is a Dijon based hiking club. They keep track of their hikes, in word and picture. This website has thousands of GPS files that you can freely download and use. If you have made interesting hikes yourself, you can upload them and help others. Most of the hikes are day hikes. The site is partly in English. 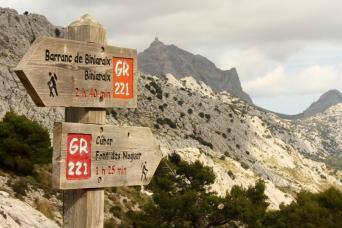 French forum about marked trail in France & Europe : GR®, GRP®, PR®, E®. Page for ultra-light hikers: material, reports etc.